Themed Discovery Rooms occupy two floors of one wing of the museum complex. Providing visitors with hands-on activities, these rooms are designed to invigorate young imaginations and introduce them to the worlds of Vertebrates, Invertebrates, Communication,Water and Bubbles, Energy, and Light and Sound, among others. Children and families will be thrilled to discover the hidden colors within light, to play a tune on the walk-on piano, and to try their hand at reporting the TV news and weather. Light and Sound - Now Open! 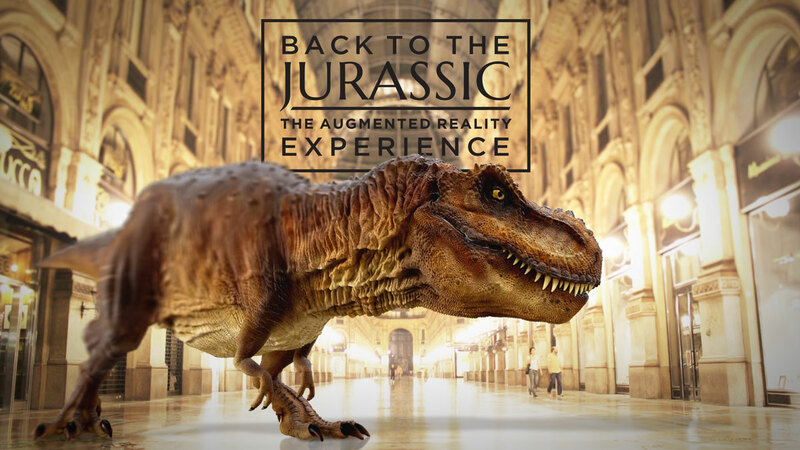 Step back in time to the Jurassic through augmented reality and see yourself side by side with a life-sized T-Rex, a pack of raptors, or a giant Diplodocus. This new experience in the Harry and Anna Jeanes Discovery Center will also serve as a preview for new and exciting exhibits coming to the Mayborn.